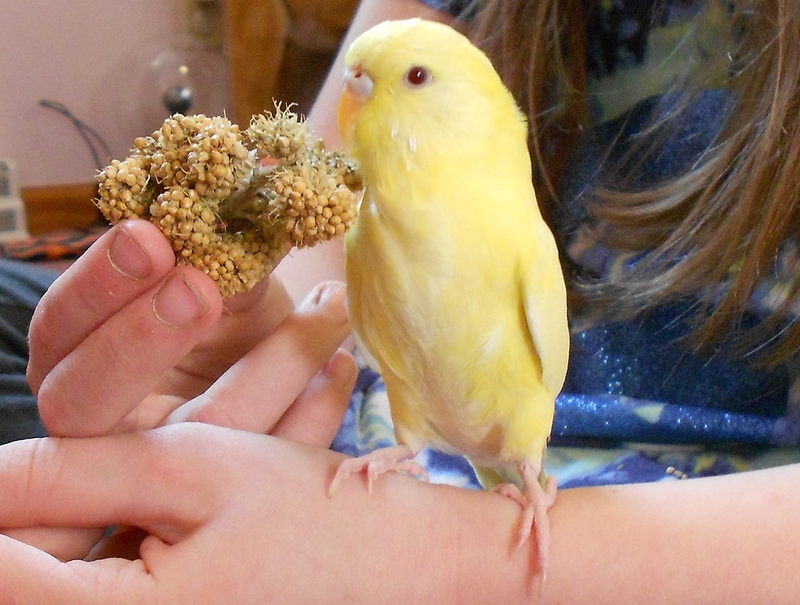 It was really nice to meet you both "in person" at the bird show in North Huntingdon a couple weeks ago, and I just wanted to let you know that the hand-fed lutino English Budgie you sold us is just wonderful. My youngest daughter Sami named him "Beebee" and he is the love of her life, lol! He is chirpy, cheerful and social - will sometimes LEAP out of his cage & stick to the front of my shirt, too cute! Loves scritches/head rubs & will sit snuggled into our hand or shirt for FOREVER if he is getting them :) Wow, what a difference a well-bred hand raised baby makes... 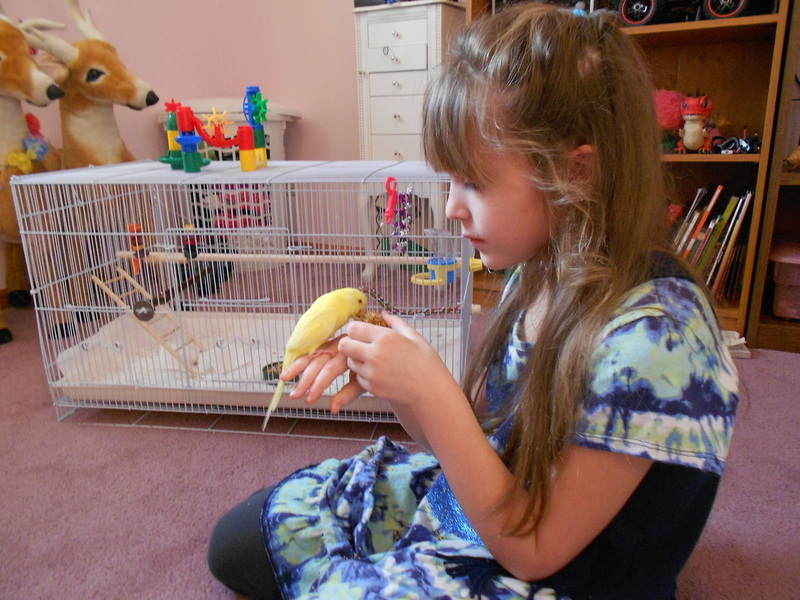 I have had budgies in the past - which I loved - but it took them MUCH longer to "tame down" and even though they were wonderful pets, they were always a bit "nervous", which Beebee isn't.